A little behind on our Blogging. 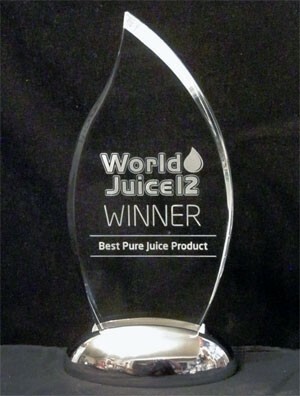 But wanted to include our win at the World Juice Awards in Barcelona Spain. An amazing event – 350 top juice executives there from over 50 countries. It seems like it was all a dream now. But we won the Best in the World – and here’s the trophy to prove it! !